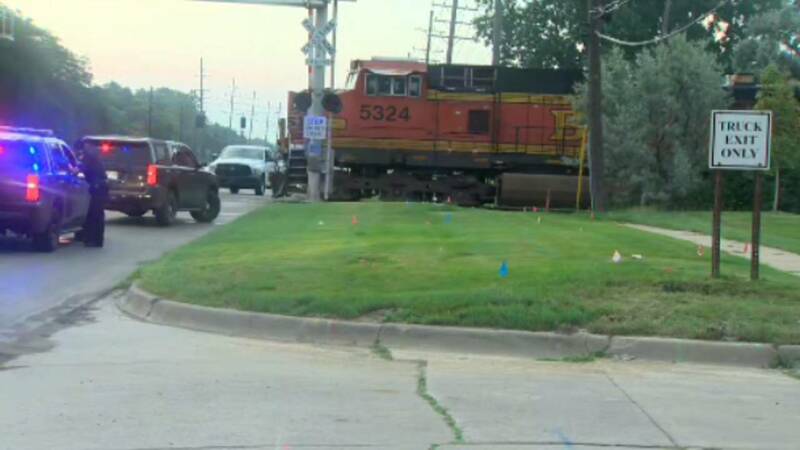 STERLING HEIGHTS, Mich. - Two people were injured in a crash on railroad tracks in Sterling Heights on Thursday morning. The incident occurred just before 4 a.m. on 15 Mile Road between Mound Road and Van Dyke. Sterling Heights Police and rescue personnel were dispatched to the area of 15 Mile Road and the railroad tracks between Mound and Van Dyke for an injury accident. Initial investigation showed that a conductor had exited a train in order to manually close the roadway at 15 Mile Rd due to a crossing gate issue. A grey Chevy Impala traveling east on 15 Mile then struck the conductor. The conductor was transported to an area hospital where he was reported to be in stable condition with serious but not immediately life threatening injuries. The driver of the Impala, a 19 year old Warren resident, had minor injuries at the scene. This incident is still currently being investigated but drugs and alcohol do not appear to be a factor with either party at this time. The driver of the Impala remained on scene and is cooperating with the investigation. 15 Mile road at the tracks was completely closed for 2 and a half hours. At the time of this release 15 Mile is open with the exception of 1 eastbound lane. 14 mile road was also closed in both directions by the railroad signals due to a second train stopping on the tracks. 14 mile has since been reopened. Anyone that may have witnessed the incident is asked to contact Sgt Carion of the Sterling Heights Traffic Safety Bureau at 586-446-2948.